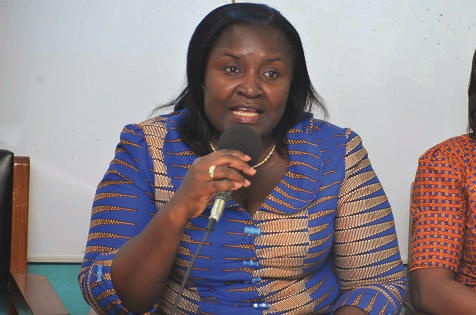 Executive Director of the local chapter of Transparency International, Ghana Integrity Initiative, Linda Ofori Kwafo told Citi News the country performed poorly. In the 2016 Corruption Perception Index ranking, Ghana dropped four percentage points, scoring 43 out of a clean score of 100. The country was ranked 70 out of 176 countries globally; performing worse than countries such as Rwanda, Namibia and Senegal. In 2012 however, Ghana scored 45 points out of 100, 46 points in 2013, and 48 in 2014 [0 means highly corrupt while 100 means very clean]. Ghana’s performance dropped abysmally again in 2014, when it ranked 61st out of the 175 countries surveyed across the world. The NPP government, which is only a year and a few months in office, has so far found itself in some cases of alleged corruption, with the major ones being the allegation of corruption against two deputy chiefs of staff, by musician and NPP sympathizer Kwame A-Plus, as well as the perceived corruption in the sale of contaminated fuel involving BOST. There has also been perceived corruption in government’s handling of the Ameri Power Deal, in which the same firm that was being questioned over a supposed bloated contract, sponsored a committee from Ghana to Dubai to hold discussions with them. Finance Minister Ken Ofori-Atta, was also accused of cronyism by the minority in one of government’s bond issue, although CHRAJ cleared him of any conflict of interest position after an NDC member petitioned the state agency to investigate the deal. Another major scandal, which many were unhappy with, was the allegations of corruption leveled against Boakye Agyarko, now Energy Minister during his vetting. He was accused by some minority MPs of seeking to bribe them to enable him sail through his vetting with ease. The matter was later investigated by parliament, but the accusers were supposedly unable to prove their claims. The latest was the alleged cash-for-seat saga, where expatriates are alleged to have been made to pay huge sums of money to sit close to the President at the Ghana Expatriate Business Awards. A by-partisan committee set up in Parliament to investigate the matter, has cleared all the stakeholders of any wrongdoing, but the minority members largely disagree with the outcome. In the wake of all these reports, Nana Akufo-Addo has reiterated his commitment to fight corruption, and has thus appointed a known NDC member Martin Amidu as the country’s first Special Prosecutor to deal with corruption.